Sometimes you just need to get away. To clear your head and remind yourself of the pure beauty that exists in the world -- outside of the chaos (both in real life and online) that can be overwhelming from time to time. Following a rough couple of days, we packed our bags and hit the road an hour and a half east of Los Angeles to beautiful Joshua Tree. 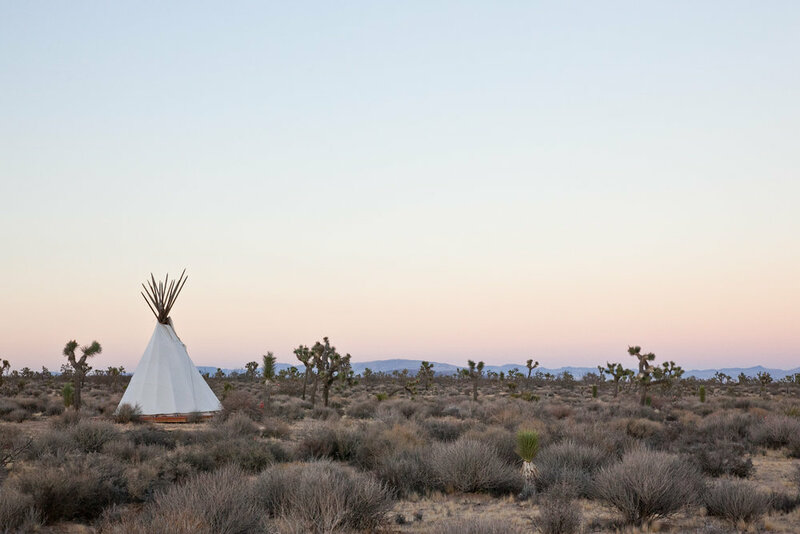 Instead of a motel, we opted for something a little different and a lot more fun -- our very own glamping experience in the Yucca Valley desert. It was hands down one of the most novel and exciting things we've ever done. It felt like a grown-up sleepover on steroids. And I loved every minute of it! Have you been glamping? Or hoping to go one day? We'd love to hear about it! Share your experience with us and others in the comments below!